The Boodles – a posh day out with Tennis! Please excuse this email out of the blue but I was hoping to provide your Club members with tickets at privileged rates for The Boodles 2018 as it is a Grass Court event right on our doorstep where you can see world class tennis players perform, the week before the Wimbledon Championships. It is set in the peaceful and picturesque Stoke Park in Buckinghamshire, from 26th -30th June – an event that is not to be missed. Previous years have seen Novak Djokovic, Grigor Dimitrov, Rafael Nadal, Juan Martin Del Potro, and Marin Cilic, amongst many others, perform as their final preparation before Wimbledon. Alongside some of the greatest names in tennis, The Boodles is proud to showcase the next generation of players. Alexander Zverev, Nick Kyrgios, and Borna Coric, have all progressed spectacularly in 2017 and are certain to making a name for themselves in 2018. 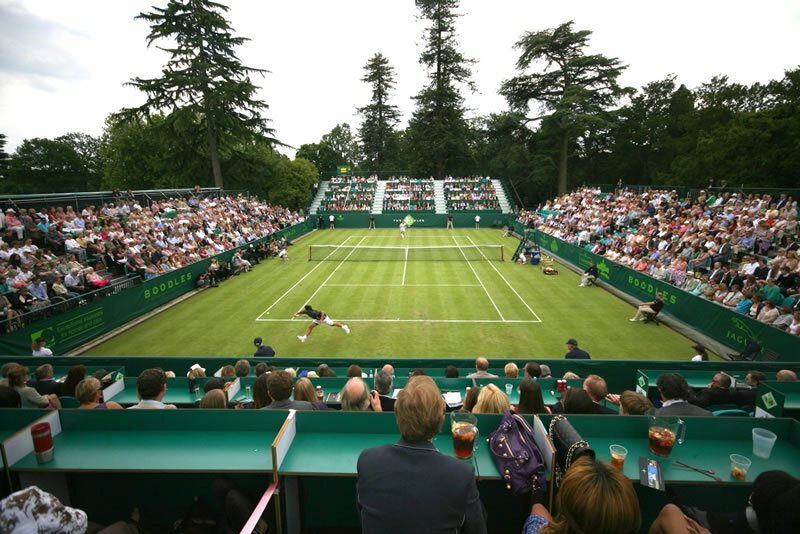 With no more than 2,000 seats, The Boodles emphasizes an intimate Stadium setting, allowing the fans to watch their favourite players perform no more than 12 metres from where they are sitting in a charged yet relaxed atmosphere. Our Stadium and Garden passes start at just £79 and are perfect for a day out with family or friends. Should this be of interest please do let me know and we would be delighted to take the next steps to activate this offer. Please send some pictures of your match or event so we can include them in the CTC News.